Are You as Wise as You Should Be? Are You as Wise as You CAN Be? Hearken to this: Be Wise. Think about applying it this way. Are you coachable? A coach draws up a game plan designed to maximize his own players’ skills and take advantage of the other team’s weaknesses. What if all the players on the football team, on their own, decided to do their own thing on every play? Even though the coach had a plan, and even though there was wisdom behind that plan, do you think that team would have any success? God says that the ones who keep His ways and hear what He has to say are blessed. This verse implies that ALL of us can receive instruction, and that everyone can have an opportunity to be wise. Are you maximizing your opportunity? God has a plan for us, and He has even given us a playbook full of wisdom with the details of His plan. In the game of Life, however, many of us just do our own thing, freelancing on every play even though there is a plan in place with love and wisdom behind it. I guess it would be nice if God had a magic wand and just touched our heads so they were instantly filled with wisdom, but it doesn’t happen like that. Solomon doesn’t say that we are gifted with wisdom all at once, in an instant. He says we can hear it, and we can watch daily at the gates, waiting expectantly to receive it. Who are you listening to that gives you wisdom? Where do you wait expectantly to receive it? 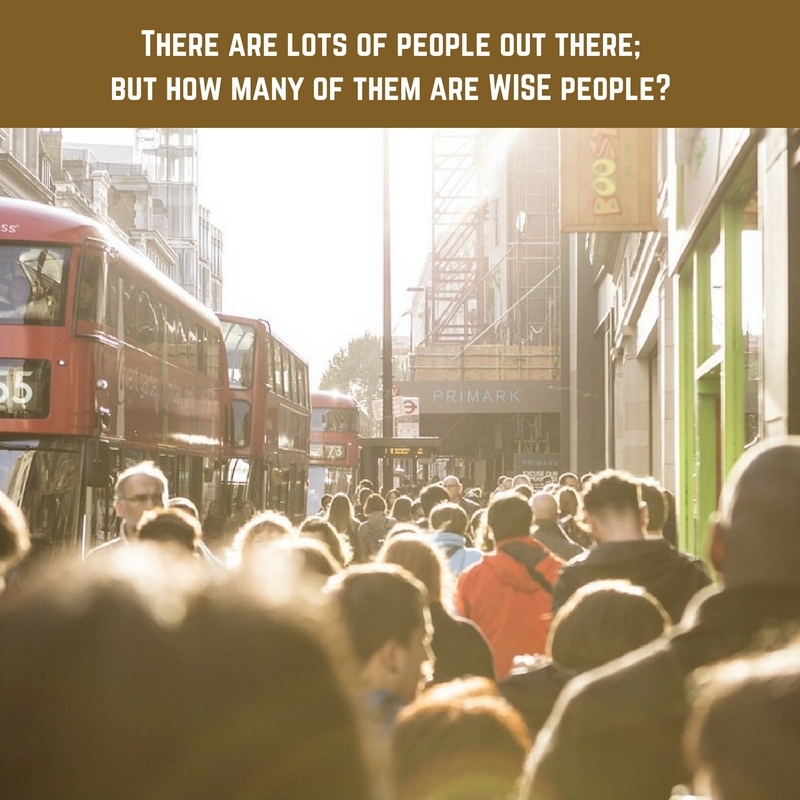 There are lots of types of “wisdom” in this world, but Godly wisdom seems to be a rare commodity. Here’s an exercise: keep track how much time you spend reading or listening to men’s opinions each day, and then compare it to how much time you spend hearing wise, God-inspired instruction. If you were honest, I’d bet you were surprised at the disparity between those different sources. Do you consider yourself to be wise? If not, why not? According to Proverbs, God’s wisdom is available to anyone who wants it; James 1:5 says, “If any of you lacks wisdom, let him ask of God, who gives to all liberally and without reproach, and it will be given to him.” Hearken to God. Ask Him for wisdom. Seek him out, listen to him, and keep His ways. Be wise. By every one, though strong or weak, by all who diligently seek. You have to go to God, and you have to ask. This entry was posted in Daily Devotions, Poetry, Thought for the day and tagged Bible, Daily Wisdom, Devotional, inspiration, observation, Proverbs 8:32-34, Solomon, spiritual, wisdom, wise by admin. Bookmark the permalink.